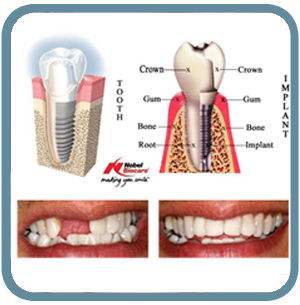 LOOKING FOR AN IMPLANT DENTIST IN MELROSE, MA? Melrose Family Dentistry offers dental implants that replace a missing tooth with a strong, natural-looking artificial tooth. 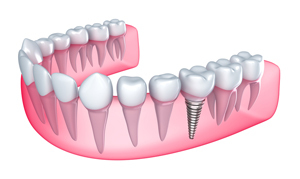 A dental implant is permanently rooted in bone and looks and feels like your own teeth. An implant can improve your speech and appearance, and provides many advantages over traditional dental bridges and dentures. Check out some of our dental implant, and other cosmetic dentistry, before and after photos in our photo gallery, and please call us at (781) 665-2113 to schedule your appointment today. We are located in Melrose, MA and service the surrounding areas.